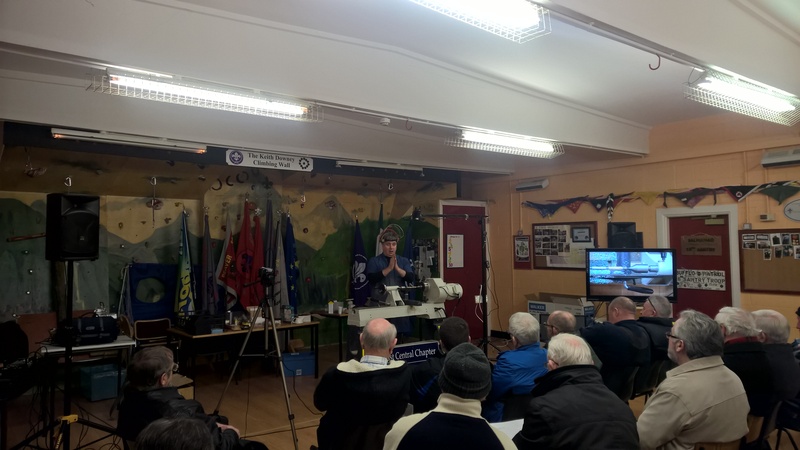 We hold our monthly meetings usually on the second Saturday of each month in the Scout Hall attached to the Lorcan Community Centre in Santry, near to Beaumont Hospital. click here for directions. It is an ideal location having ample room for any number attending with plenty of carpark spaces. Meetings run from 2pm to 5pm. A comprehensive audio visual set up ensures that everyone can both hear and see everything including the minor details. After announcements and any relevant news about Guild affairs there follows a demonstration of a woodturning project. There is a break halfway for refreshments and an opportunity to meet others and exchange views. Occasionally a trade stand attends the meeting where one can purchase tools, equipment, finishes and other turning essentials. A book and video club is also available to members. There is a monthly competition for members of the chapter to stimulate interest and help improve skills.